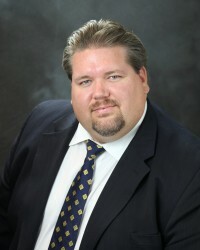 Jeremy Brehmer is a California attorney with a well rounded science background. He was the lead laboratory analyst for a major agricultural company conducting daily analysis of domestic and international product. Mr. Brehmer then applied his expertise for a private nephrology group where he conducted more than five hundred blood draws, venipunctures, and subcutaneous administrations as a state certified hemodialysis technician and phlebotomist. After graduating law school on an accelerated basis, Mr. Brehmer received specialized training and further education in standardized field sobriety testing; drug recognition examinations; gas chromatography; solid drug dose analysis, DNA and airway gas exchange. He is routinely asked to consult with both private and public attorneys throughout the country on issues of breath and blood analysis. Mr. Brehmer is honored to have presented multiple times to the American Academy of Forensic Sciences, the American Chemical Society, State and local Public Defender Associations, state defense bar conferences, law schools, and others associated with the forensic and legal community. In addition to other publications and those is process, Mr. Brehmer has authored chapters about forensic science in criminal cases, search and seizure, and discovery in DUI cases in three Aspatore/Thomson Reuters books, contributed on a blood alcohol analysis chapter for West publishers. Mr. Brehmer is a 2013 and 2014 Southern California Super Lawyers Rising Star and is recognized as one of Southern California’s “Top Attorneys” as published in Los Angeles Magazine.